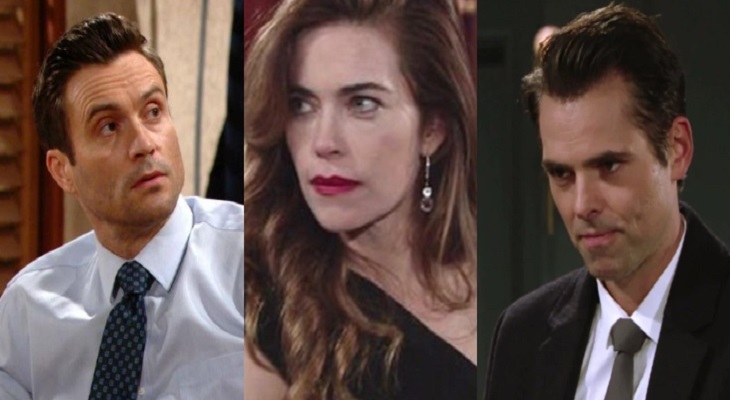 Young and the Restless Spoilers: Vane Vs Lane – Victoria Better With Cane Or Billy? The Young and the Restless (Y&R) Lily Winters (Christel Khalil) and Cane Ashby (Daniel Goddard), dubbed as Lane, fans debate Victoria Newman (Amelia Heine) and Cane, dubbed Vane, fans on which couple is the better one. Both believe Cane belongs with the other woman, both sides with very valid points. On Twitter, Lane fans battle Vane fans as they fight about who Cane is better matched with. Many argued that Cane and Lily hit their peaks years ago and he should be paired with someone else. Other’s say they are Lane fans until the end. Daniel said that he is thrilled they have paired him with Heinle and Khalil decided to leave the show. She wanted the chance to do other projects, something she couldn’t do when on contract with Y&R. He wishes her the best and he looks forward to any scene he shares with her in the future. As for if he believes Lane ran its course, he isn’t sure. He thinks Lily and Cane are the real deal and they can get past anything, even a passionate kiss with Victoria. Another point Goddard made was Christel’s departure is what led to Victoria and Cane’s pairing. If she would have stuck around, the writers wouldn’t have paired him with Ms. Newman. However, he points out that Cane needed a change and he’s just thrilled the writers are keeping him, even though Khalil, being his on-screen wife, left the show. Who do you want Cane with—Lily or Victoria? Don’t forget to come back later for more Young and the Restless (Y&R) spoilers, news, and casting updates! Bold and the Beautiful Rumor: Will A Helicopter Crash Complicate Liam’s Rescue Trip To Catalina Island? General Hospital Spoilers: Is Nelle Coming Back For Big Baby Swap Reveal?